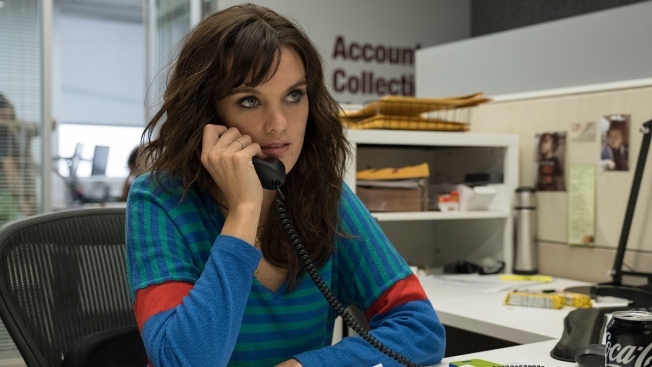 This image released by Showtime shows Frankie Shaw as Bridgette Bird in a scene from "SMILF." Shaw, who created the series, also directed several episodes of the show. More women are being hired to direct TV episodes, but the numbers remain stagnant for directors of color, according to an industry guild study. African-Americans directed 13 percent of series TV in 2017-18, unchanged from the previous season, the study found. Asian-Americans at 6 percent and Latinos at 5 percent were up one percentage point each from 2016-17. "The bright spot here is that the doors are finally opening wider for women, who are seeing more opportunities to direct television," guild President Thomas Schlamme said in a statement. "But it's disappointing the same can't be said for directors of color." The series "SMILF," ''One Day at a Time" and "Queen Sugar" were among the standouts for inclusiveness in their directing ranks. Among studios, Disney-ABC, Twentieth Century Fox, Lionsgate and CBS held the top four spots in the study. The annual report examined 4,300 episodes produced in the 2017-18 season, which the guild said represented a drop from the all-time high of nearly 4,500 episodes in the season before. A guild report released in August found "insider hiring" to be hindering the move toward diversity. Writers, actors or others already connected with a TV series can be "gifted" one-time directing jobs, blocking career progress for women and people of color, the guild said.